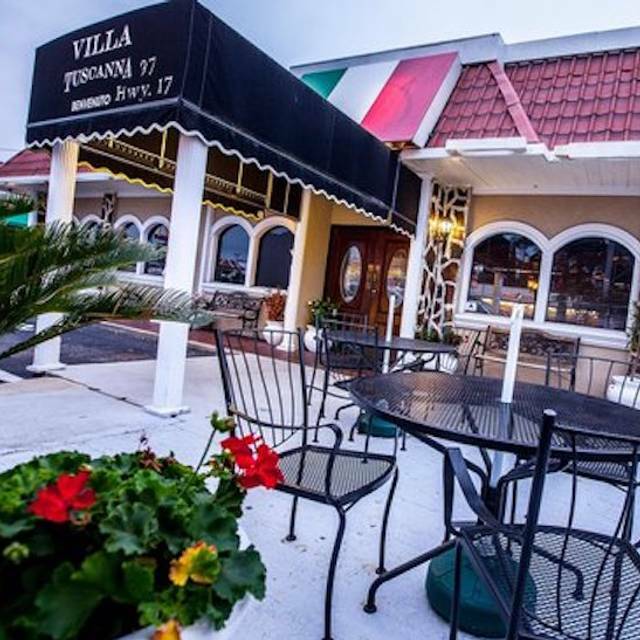 You must make reservations at least 5 minutes in advance of the time at Villa Tuscanna. Dinner: Monday-Thursday: 4:00 -9:00 pm, Friday&Saturday: 4:00 pm-10:00 pm, Sunday: 4:00 pm-9:00 pm. We do catering upon request. 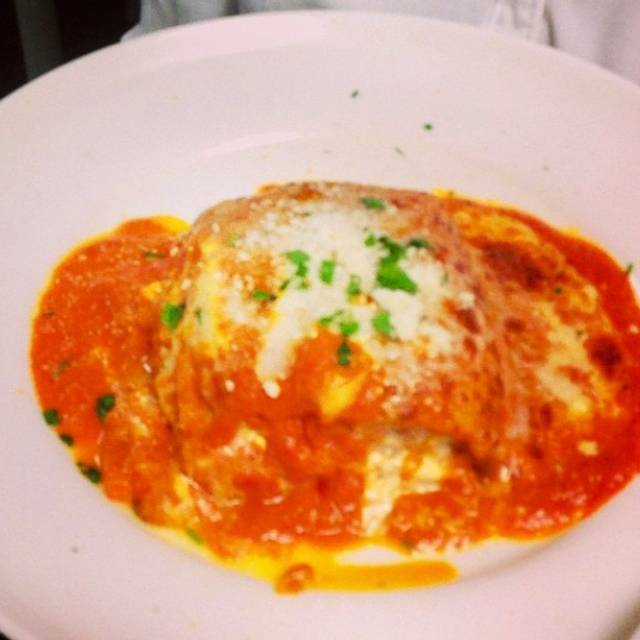 Villa Tuscanna offers authentic Italian recipes with fresh ingredients. Located on Kings hwy next to Main St stand alone building that offers a full bar and private room. Offering an extensive menu with fresh local ingredients Villa Tuscanna has developed a reputation for consistent, good quality authentic, feel good dishes at a great value. We are home owners for 29 years in Little River, We have been long time customers of Villa Tuscanna and remember a waiter that told us he was the owner's brother. I ordered a glass of wine. I received a large goblet which highlighted the little bit of wine in the glass. Why use a giant glass and then fill it about 1/4 way? 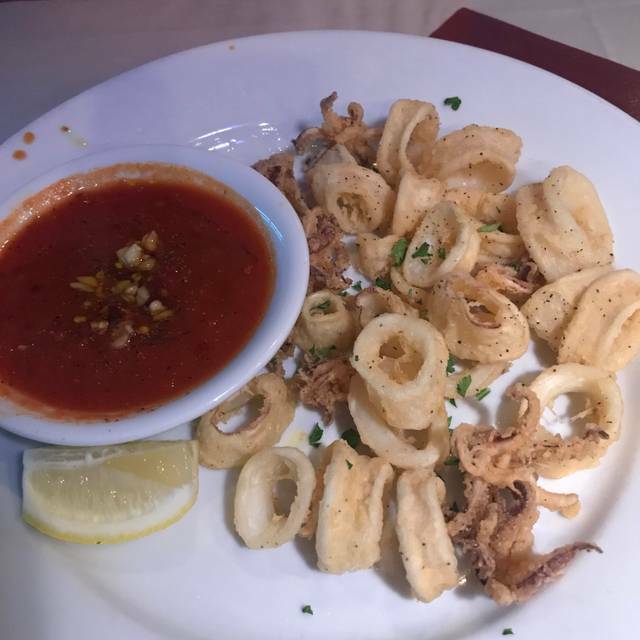 As you know, there are many, many choices for dinner here in SC and we will not be in a rush to go back to Villa Tuscanna. Always consistent with good food choices, service & ambience. Had a reservation for 6, one of whom could not join us. We were seated promptly and our waitress was a wonderful young lady. Our drinks and food was outstanding, no complaints here. The noise level really accelerated as the Friday night crowd filled the restaurant. We found it a little too noisy by the time we left. 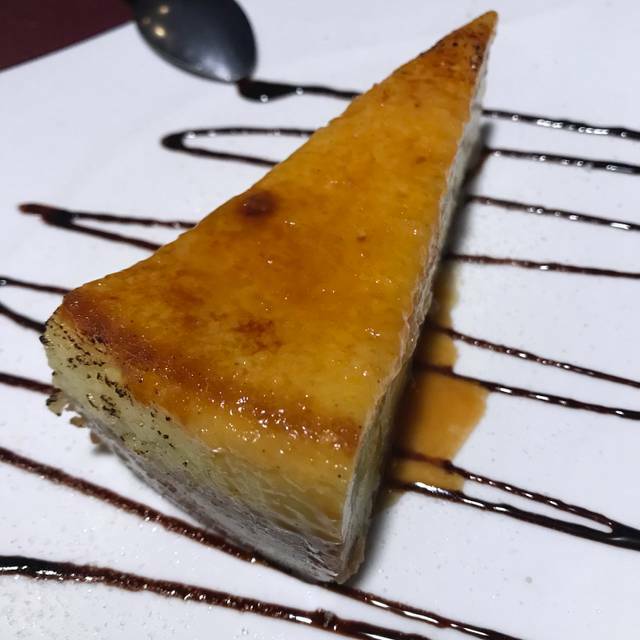 Have been to Villa Tuscana several times and never disappointed. Will be back! We are never disappointed when we go here. Food is so good and Mauro is the best. Veal chop was huge and fixed perfectly. In my experience, this is nicest restaurant in North Myrtle Beach. Their wait staff are always topnotch. our normal server ... robin... was off that night . but we had malissa.. and she was excellent !!! tony and moma never disappoint .. always 5 stars and they do everythign they can to please the customer .. OUTSTANDING !!! We brought my girlfriend who was visiting from NJ here the other night. She loved it so much we had to bring her again 4 days later. The food is never disappointing. After trying my husbands bolognaise I told him you are bringing me back on Saturday because now I have to have that. The food and atmosphere was great! It was a little loud, but they had someone playing the piano and singing live. We enjoyed the entertainment! 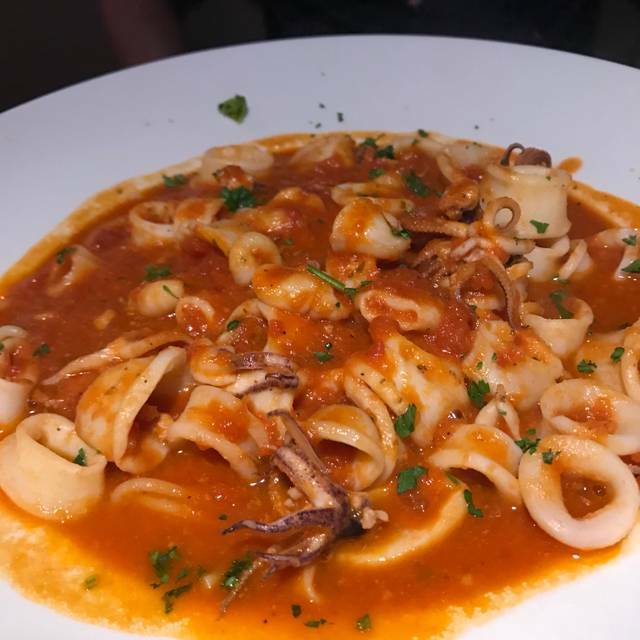 Would recommend the calamari and veal Parmesan dish... we order this every time and it’s always delicious! Wonderful appetizers including fiocchi pasta pockets and mom's homemade veal stuffed banana peppers. Eggplant parm was outstanding and the chicken parm cooked perfectly. The Penne with vodka sauce is also excellent and don't forget to save some bread to mop up ALL the sauces with. Mary is a great server while watching over a busy bar. My friend came down from NJ and we took her here, which is our favorite restaurant since moving here a year ago. She loved the place and can't stop talking about the mushroom ravioli with gorgonzola sauce and the lemon drop martini. our waiter was not very attentive had to ask for more tea , saw other waiters filling other people glasses. Food was good and plenty of it. Nice place for the first time there will not want the same waiter again. Great food with a very courteous staff. It was alittle loud but expected on a Saturday night with a full house. Delicious and fast service. We enjoyed the food and the wine. It’s a very busy and popular place. Best Italian restaurant in the area. The food is delicious. Portions are generous and cost is reasonably price. Service is prompt and courteous. 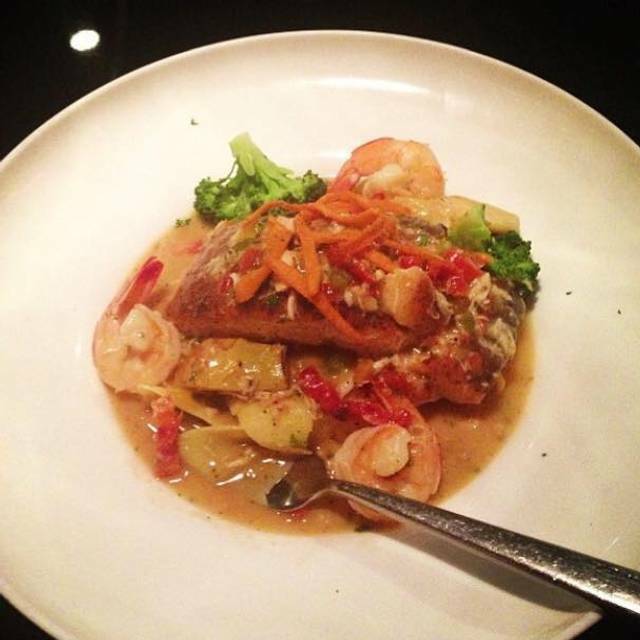 The food was great and our waitress, Julia, was very knowledgeable and attentive. I felt like I was in New York. This was the best Italian food I've had outside of Italy. The prices were great!!! My husband and I thought our meal would be at least $200.00. We had cocktails, a bottle of wine with dinner and dessert. Boy were we shocked to see the bill. It was half of what we expected. This is definitely worth a return visit. The next time we're in the area we WILL RETURN!!! Victoria is an excellent server!! We love going there!!! Food and wine selections is very good. Service was excellent. We LOVED this restaurant! Wonderful food and atmosphere. The appetizer special of pear tortellini with Gorgonzola sauce and walnuts was truly outstanding. This place is a gem! Nice casual atmosphere, the food is tasty and prices are reasonable. Good portions. We has a great meal for our first experience at Villa Tuscanna. The bread was fresh and delicious and the dripping oil was very good. It was more special with good olive oil, roasted red pepper pieces and garlic. Victor was a big help with the menu and recommendations. We both had Caesar Salads were very fresh. My wife ordered the Spaghetti and Meatballs. The waiter said the sauce was home made and the meatballs were prepared by the owner’s mother. She was not disappointed. She thought it was great. I ordered the Veal Picatta. It was delicious. The veal was tender and the sauce over the veal and pasta was very good and a little unusual for veal picatta. We also thought the selections of wine by he glass and bottle were more than March,2019 satisfactory and reasonable. All in all we had a wonderful experience and look forward to the next time. We love this restaurant so much. It is always great. The food is always hot and never to long a wait. 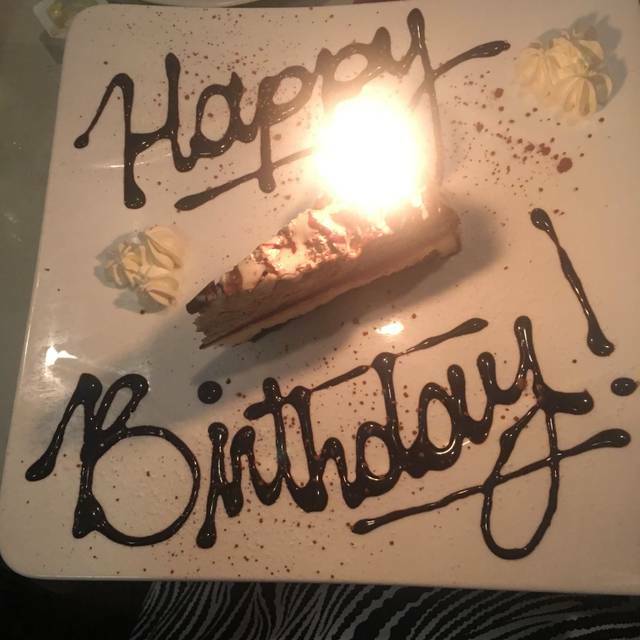 Not to many restaurants in the area can even compete with their excellent way they serve their customers. You can tell that love is put into their dishes . We have been eating here for years and will continue to do so. great place to make memories! Being a transplanted New Yorker, it has always been hard to find good Italian food in the area. This place surprised me. Food was very good and compares to places up north. Even loved their Italian bread. Would definitely recommend everyone to try. Was great dining there.The red sauce was excellent if you have a fish dish. As it adds flavor. If not then its a bit heavy on the tomato paste side.. As third generation Italians if they get the sauce right then they would get 5 stars across the board..But the owners are not from italy, so it is what it is. We are new to the area and are tryings many places around. I would go there again . Fantastic food, great atmosphere, great service. Lounge singer is a little loud, we were seated near him, and had to talk loudly just to carry on a dinner conversation. First time at the restaurant. Overall a very nice dining experience. Our waiter was very attentive and provided great service. The food was awesome. If I were the owners, I would do a modernization and renovation. The building is old and the interior could use a facelift. We live in NMB, and this was our first visit after hearing great reviews. Except for the noise level, tables being close together, it was difficult to have a conversation. Our waitres, Riley, was great. Food was great. Food is always top notch. Service is very good. 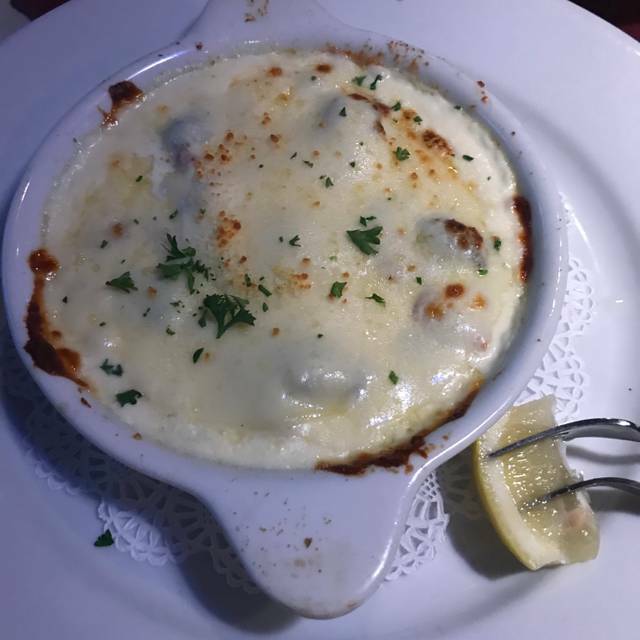 The best Italian restaurant in North Myrtle Beach. We both ordered the Veal Parmigiana. The veal was overdone and tough. 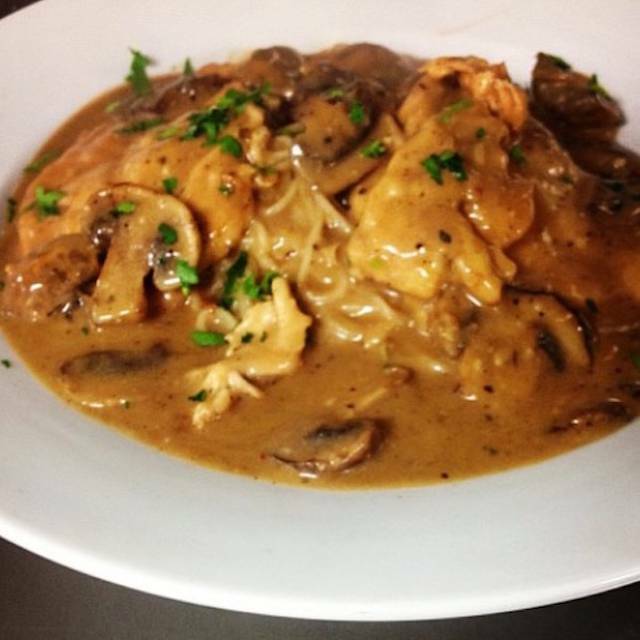 The pasta was not drained properly so there was a lot of water in our plates, which made the sauce very watery. The service was excellent. Our waiter, Tim, was attentive and pleasant. The wine he suggested was very good. We are local and were hoping that this would be a place that we could return to for good Italian food. We were disappointed and will not go back. We've dined at Villa Tuscanna often and have almost always found the ambient noise level too high for our liking. Sometimes it is the live music being played too loud, but this time the problem was close tables and patrons unconcerned with how loud they were. Perhaps if others feel this way, a suggestion to the management of perhaps adding some sound-dampening media to the walls. Other than the noise level, it is one of the best bargains in NMB. Better Italian food than I was ever served in Italy... period. The exterior is not impressive at all... kind of run-down looking... but the parking lot is jammed and that's what I go by. The food, service, everything is outstanding. Need reservations for sure! Outstanding service, great food and awesome entertainment.